We're happy to announce that we have successfully restored our ManiaPlanet servers; well most of them. 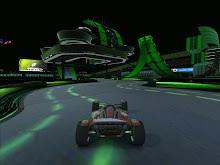 Our TrackMania Canyon, Stadium, Valley and TM2 (all environments) servers are back online (no controllers for records yet though, still working on that.) Our ShootMania Royal server is back (also with no controller.) The CardMelee server will be back later after I get a chance to download the new ManiaPlanet 3 compatible version of the Title Pack. I'll have the records controllers back for our TrackMania servers back as soon as possible; then will work on the controller for Royal... After that I'll tackle CardMelee. We apologize, but our servers have been having some unknown issues over the past several days that we haven't been able to work out yet. I hope to get time this week to get them solved and bring our servers back online. Thank you to those that frequent our servers, and we're sorry for the inconvenience. We'll get them back online as soon as we can, and hopefully be playing with you soon.